Whether work or pleasure, the seminar room with wireless Internet connection and the group lounge with its own stereo equipment can be used free of charge by our guests. 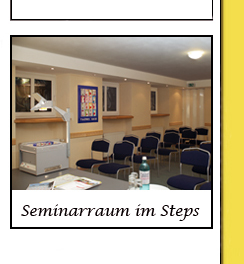 For presentations you can use our projectors, beamer and flipchart. You can plan events here comfortably for up to 50 people. Ideal for school groups, educational trips and events.